It’s only been a short while since newly merged fashion doll company Tonner One World announced a partnership with FOX and their hottest TV show Empire that would see a limited edition line of high quality fashion dolls released showcasing likeness of the cast and now, Tonner One World are starting to give little bits of information to keep us all excited about the release. 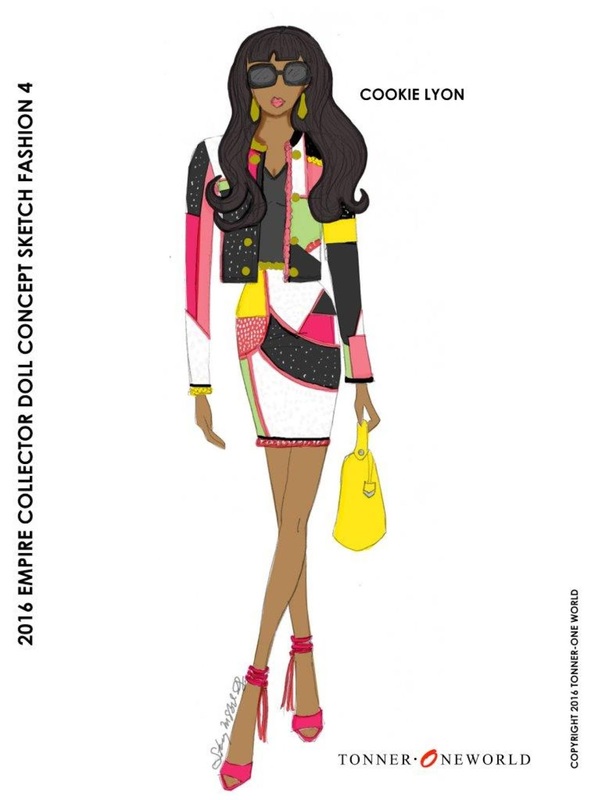 While EmpireDolls.com remains open for public registration and no official emails coming through to those who have signed up, it has been revealed these dolls could be set for a release as early as September when Empire’s third season is set for premiere. 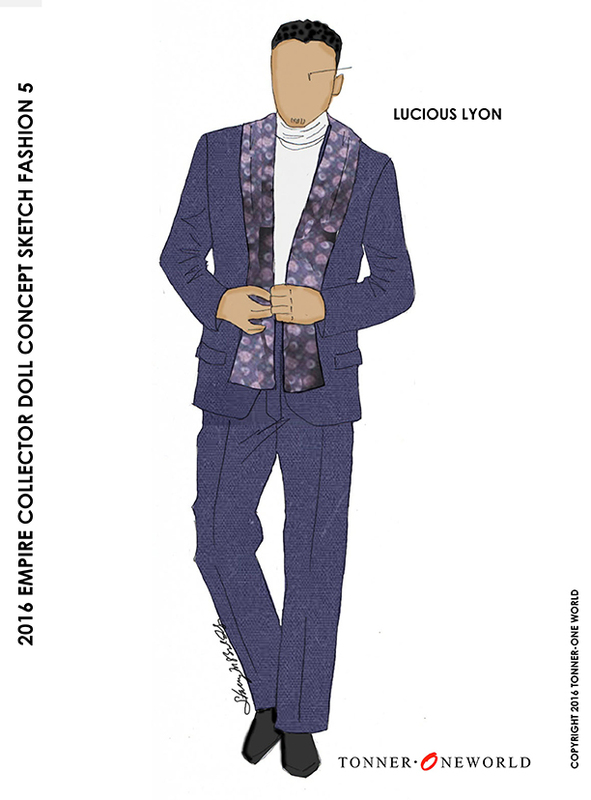 Along with that wide open release date, Tonner One Wold also showcased artwork of not only two boxes featuring Cookie Lyon (Taraji P. Henson) and Lucious Lyon (Terrence Howard) titled “The Fabulous in Fur Edition” and the “The Ultimate Hustler Edition” but also some concept sketch cards – concept fashions numbered one and four for Cookie and a number 5 for Lucious. Check out the artwork below! 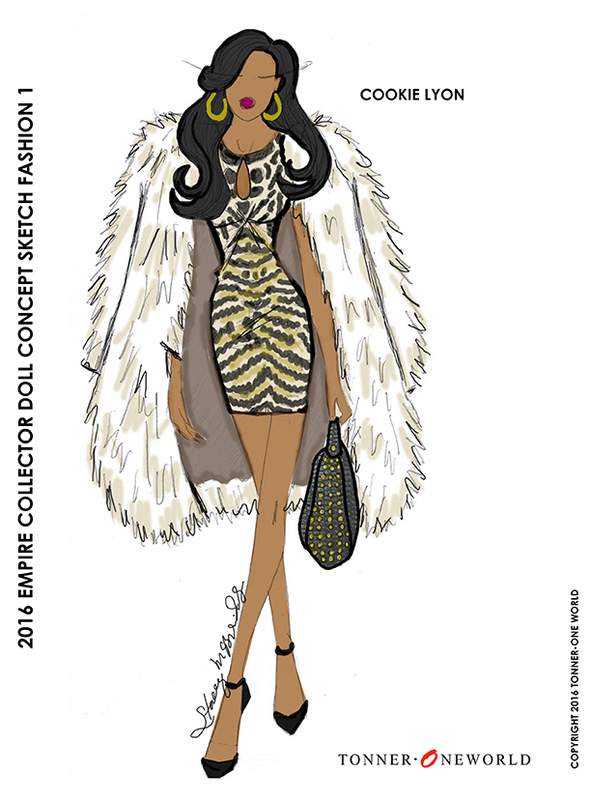 Fans will easily be able to see just how true to the show Tonner One World are being with sketch #4 showcasing Cookie in a Moschino color blocked jacket and matching skirt with black tank as worn in season two episode four, sketch #1 matching Cookie’s Empire pilot episode look in which she dons a Canadian Lynx fur coat over the top of a skin tight leopard print dress and Lucious’s season two episode one purple Gucci suit with complimenting purple paisley print scarf. News about an actual release date and final dolls to be released is expected to hit inboxes in the next few months!